…Friday 17th April: tomorrow night sees two shows featuring the Marseille area. ‘Thalassa’ has ‘Mediterranée les iles mysterieuses’. 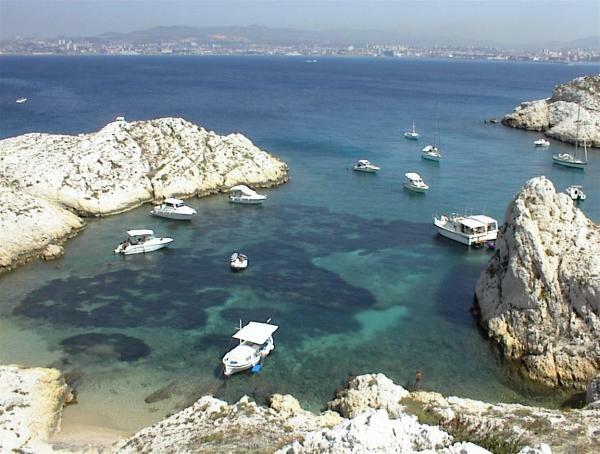 The islands in question are the tiny outcrops of rock opposite Marseille, the Cote d’Azur and Corsica. Because they are so inaccessible, the natural riches have been preserved and are the subject of this documentary. France 3, 20:50. At exactly the same time, on W9, there is ‘Marseille, Avignon: Policiers et Pompiers sur tous les fronts’. As Marseille attracts more and more tourists and residents, it has to struggle with the ‘delinquance‘ which tarnishes its image, according to the programme notes. I do find these documentaries fascinating and the French easy to follow as there is so much action on the screen.